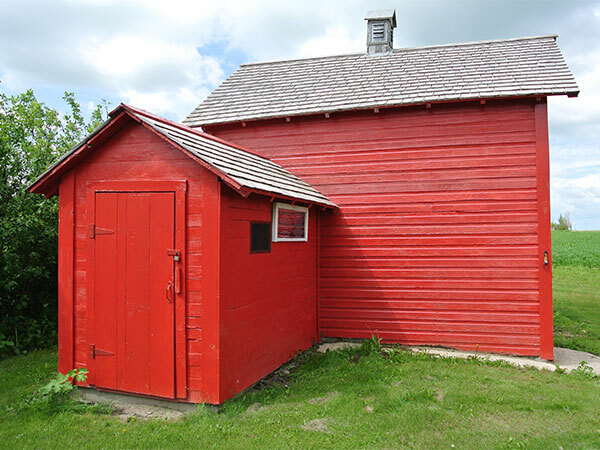 This small building, designated in 2006 as a municipal historic site in the Municipality of Gilbert Plains, hosted a “beef ring” slaughterhouse from 1923 to 1951. In the days before refrigeration, this operation brought freshly cut meat into 16 to 24 local homes on a weekly basis during the summer months. In the early 1950s, with the arrival of rural electrification and freezer plants, the service was no longer necessary. 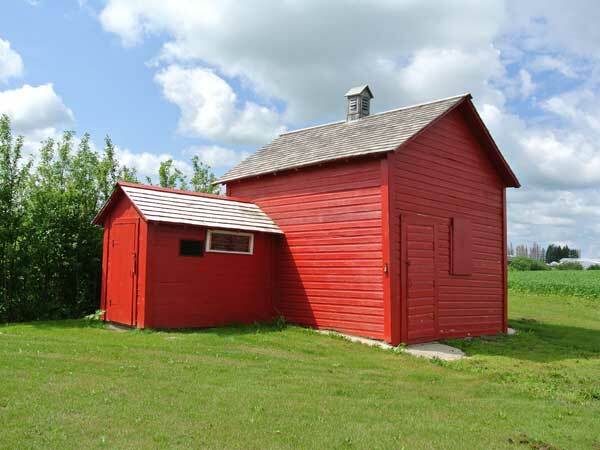 Once common throughout agricultural areas of Manitoba, the building is believed to the last of its kind still standing in the province. Restored between 2007 and 2008, the building is opened for visits on special occasions. Gilbert Plains Beef Ring Building, NE 22-24-22W, Gilbert Plains area, Manitoba Historic Resources Branch. “Canada Day celebrations planned for Centennial Park,” Grandview Exponent, 23 June 2009, page 9.